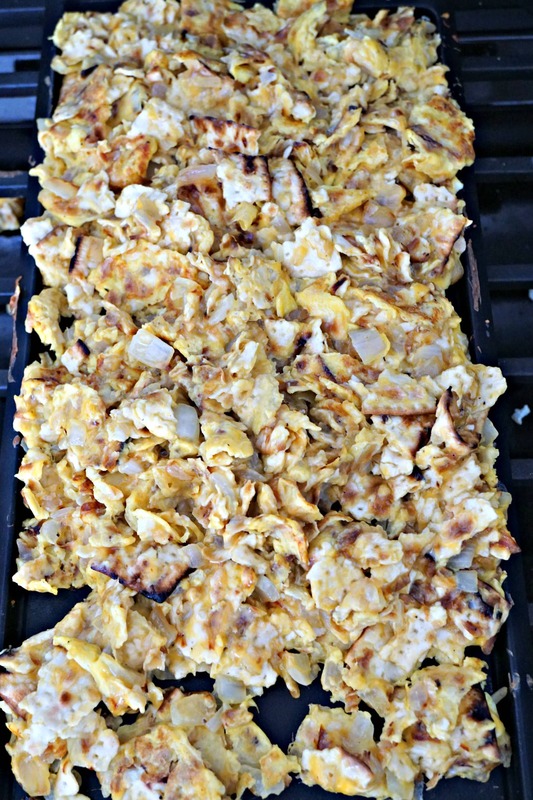 Why not make Matzo Brei for breakfast all year round? It’s the first morning of Passover so of course I made a simple version of Matzo Brei. 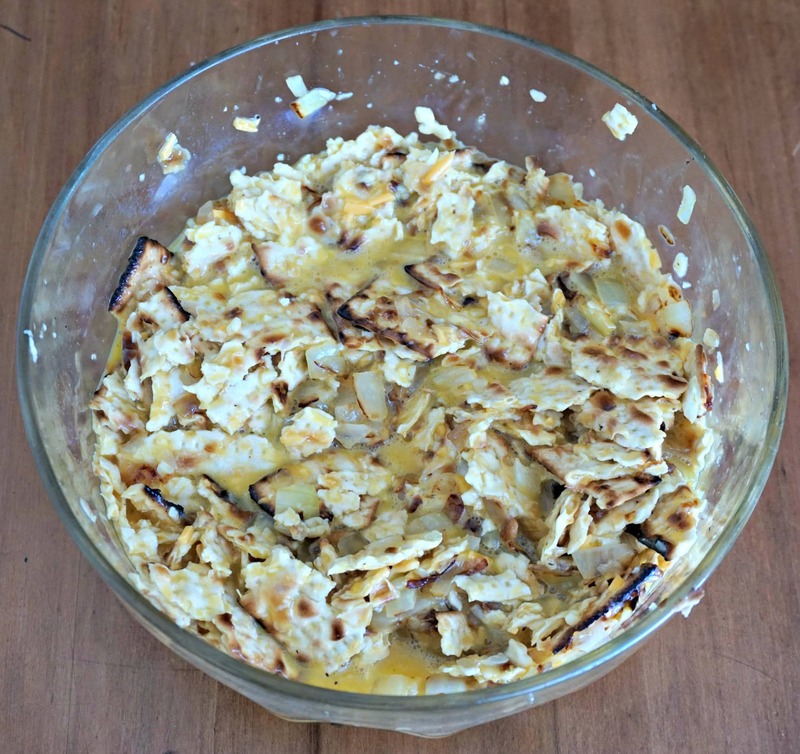 As Matzo Brei is made by mixing eggs with matzo, much in the same way as you mix eggs with bread to make French Toast, it is a simple dish to prepare for breakfast or brunch. The number of possible additions and variations for this otherwise very straightforward dish is endless. I opted, however, to start off with a basic recipe with a small addition of wild garlic, which is in season and in abundance in my local area at this time of year. Feel free to add your favorite additions, such as mushrooms, grated cheese, diced bell peppers, garlic, leeks, spinach, etc. You get the gist. All ideas are good. Serve your Matzo Brei with a choice of toppings: apple sauce, sour cream, jam, maple syrup or even ketchup. Let your imagination go wild! Everyone can choose their preferred topping. 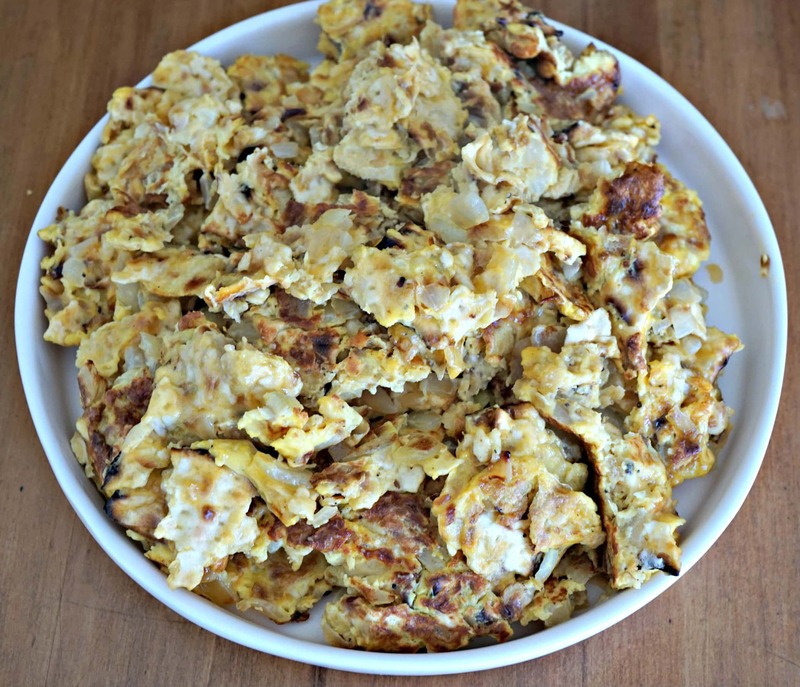 Matzo brei is a traditional breakfast dish during Passover, yet can be made all year long! Heat the oil in a pan. 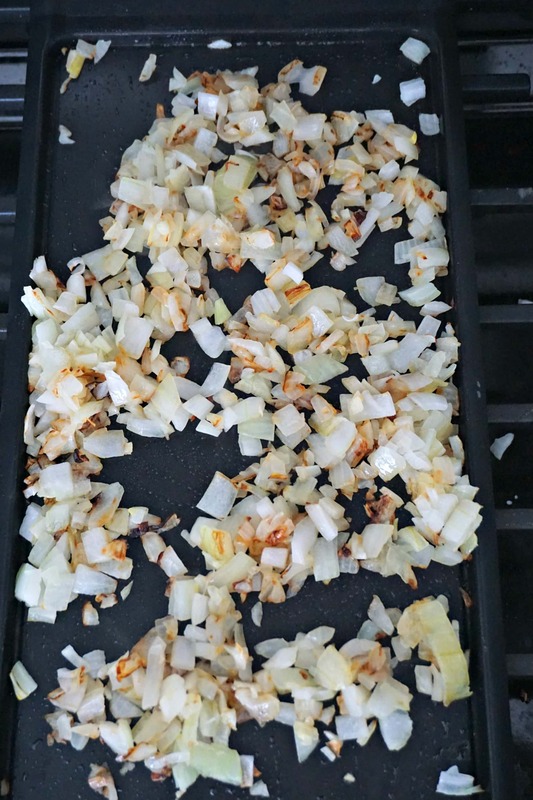 Add the onions and cook on medium heat for about 10 minutes (depending how well you like your onions cooked). Beat the eggs in a bowl. Add salt and pepper. Moisten the matzo under running water until the matzo softens but does not crumble. Break into pieces as you add the matzo to the seasoned beaten eggs. Continue until all matzo is added. Add onion-garlic mixture to the beaten eggs. Leave for a few minutes for the matzo to absorb most of the beaten eggs. Add 1-2 tbsp oil to the same pan over a medium flame. Add the matzo-egg mixture into the pan when it is pretty warm (like you would for eggs). 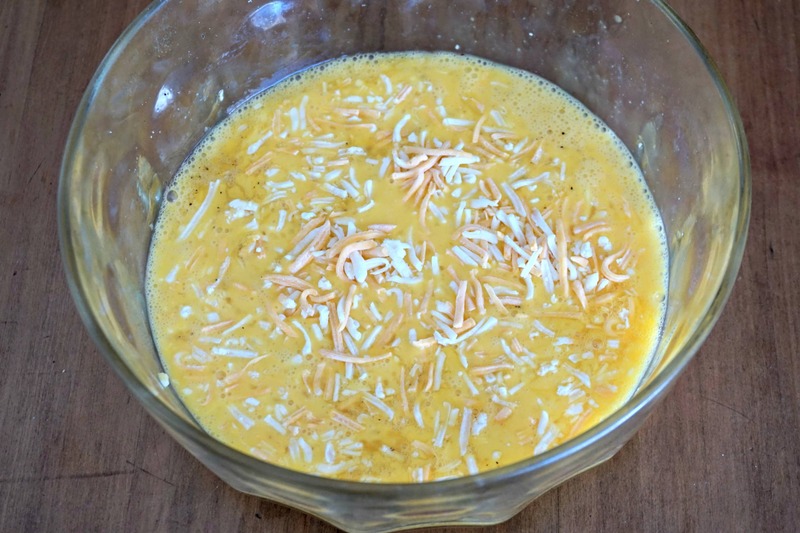 If you are adding the grated cheese, add it now on top of the mixture. Cook 2-3 minutes before stirring and cooking for another 1-2 minutes until set. If you don't have or want wild garlic, 1 clove of ordinary garlic can substitute for the wild garlic. You can use any kind of mild grated cheese (e.g., Cheddar, Jack, Gouda, Emmental). Toppings can include apple sauce, sour cream, jam, maple syrup or even ketchup. Serve whatever toppings you might use for French toast, omelettes or crepes.